Want to embed your favorite videos into your webpage? 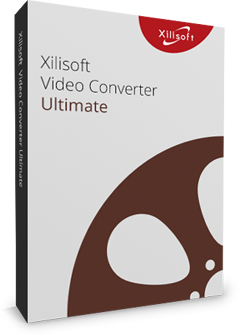 Video formats such as AVI, MPEG, WMV, MKV, H.264/AVC, DivX, XviD, RM, MOV, and FLV can be converted into SWF (Flash Video) by Xilisoft SWF Converter. In addition to this, the software creates an HTML page with the SWF video embedded in it. You can also use photo files and turn them into SWF video for streaming on the Internet. Converting videos to MP4 /MOV is also supported. 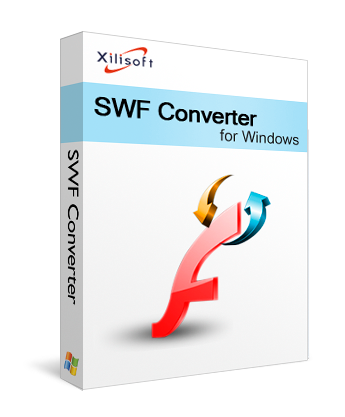 Xilisoft SWF Converter will automatically split the video every 16,000 frames to enable the output SWF video to work normally. You can also adjust settings such as audio/video quality, file size, frame rate, bit rate and sample rate according to your preferences. Decode all popular video formats: including AVI, MPEG, WMV, MKV, H.264/AVC, DivX, XviD, RM, MOV, and 3GP to SWF. Convert videos into SWF format so you can easily attach them to HTML pages for streaming on web pages. Turn WMA, MP3, WAV audio files into audio-only Flash SWF videos. Supports dual-core or multi-core processors; more cores mean faster conversion. Convert multiple files in batches all at the same time to save time and do more. Videos exceeding 16,000 frames are automatically split to ensure smooth and normal playback. 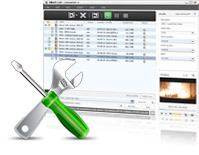 Tweak parameters such as audio and video quality, frame rate, bit rate, sample rate and more. Know the file size before you convert by computing its video bit rate with the bit rate calculator. Loading several files all at once and setting different output formats for each file is possible. Simple interface for easy navigation; clear and concise software so it’s easier to understand and use. Preview video files before conversion with the built-in player (which is resizable and can be used as a stand-alone player with 4:3 and 16:9 zoom modes). Take a snapshot during preview and save as your own picture file. Set an action (exit, standby, shut down or hibernate) and let the Xilisoft SWF Converter perform it automatically after a conversion is done to avoid waiting and wasting time. Allows you to manage your system power in this SWF converter. This SWF converter is available in English, German, Japanese, Spanish and Chinese.